and she agreed, saying she loved the artwork and those almond flour biscotti filled with almond paste... oh yes, and the pistachio gelato!! Come on in and enjoy the fresh authentic food made true to the way it is made as a genuine labor of love, in Italy. Feast your eyes with surprisingly fresh art that you can purchase if you want to look at these little gems every day in your own home. Enjoy the friendly and fun staff! Definitely, call 516-922-2212 and check the hours and days. Currently, they are open on Tuesday through Saturday, from 5-10 PM until mid-September. artist, beth vendryes williams, opening and reception at Autentico! Join local artist, beth vendryes williams at her fresh exhibit @ Autentico.! Come view the new work of "hours," which highlights the process of finding time for interior reflection during each day. The contemporary imagery combines watercolor, translucent paper, and recycled fabric which is also drawn from our current moment in time. Francesco, the chef, and culinary artist will be creating beautiful and delicious appetizers for all guests along with refreshments. Let us know you are coming! If you haven't had the pleasure to try out Autentico restaurant yet, here is your chance! Let us know you are coming, by clicking here. I am thrilled to present this new work. Seize the day! See my six new works + 19 remarkable artists! Very Exciting! Can't wait to see you there. Contact me by email or text for directions, even I could follow!! See you there! Inksplash: The Art of Impressions is an invitational exhibition of artists who make impressions. Printmakers are capable of producing multiple images from the same plate or matrix. Each print produced is not a copy but considered an original impression, revealing unique qualities and variations. The RAA Press Printmaking Studio is the heart of the printmaking community in Rockaway, Queens. We will be exhibiting prints by the many local artists who have taught and attended our printmaking workshops as well as the many printmakers who have contributed to our ongoing print community at RAA. InkSplash: The Art of Impressions will feature works using a variety of printmaking processes ranging from traditional (intaglio, relief, lithography, solarplate, bookmaking and screen printing) to experimental. These works address a variety of topics concerning design, representation, and abstraction. BEasy Band and friends will be on hand to play for us! "Rushing waters" is a solar print that was inspired by the energetic movement of time through sky and waters Exhibit up untilJuly August 27, 2017. Imagine You Could Make A Difference" 2017 YFCA Spring Benefit/ ART Exhibit and join us Saturday, May 6, at the Planting Fields Hay Barn from 6-8p. YFCA provides a wide range of high quality mental and social services, with privacy and dignity, to children, adult, and families. To inquire about and purchase tickets call Barbara Rakusin at YfCA, 516-922-6867 and find us online at http://yfcaoysterbay.org/. Keep Watch for updates and links to participating artists' websites. journaling with Painting /Writing Workshop for Kids, grades 2 - 6! Come join us during spring break at this journaling Workshop for kids, on April 12 . Sign up whle there is still space left! An incredible opportunity for your child to write and paint directly onto beautiful handmade Japanese style journal. We will explore memories and ideas in the spirit of Edna Olmstead , Her journals provide a perfect example of documenting life events and ideas with images and writing!. The artifacts at the historical society enrich and inspire! 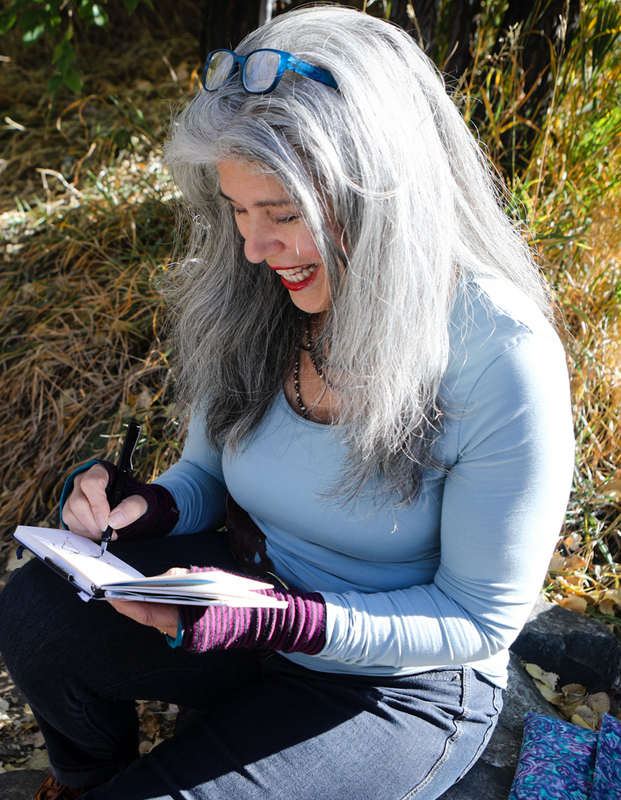 Explore the tradition of Journal writing in this workshop with participants engaging in writing, drawing, watercolor, collage or photography. Examine the many ways journals can creatively document and individual's feeling and ideas over a lifetime. No prior experience is necessary. Attendees should bring a journal or notebook and are encouraged to arrive with printed materials that inspire.. A variety of materials will be available for use. Some journal sketchbooks will be on hand for purchase. Cost is $40 per person. Space is limited to 20 persons. Registration is recommended.For more information call 516-922-5032. I was sorting through my journals because I had to take them down from their home, the top shelves, to prepare for renovation of my art office/storage area. I thought I had 30 journals. After counting, I found that I had 130, of all different sizes. The show explores the value of reflection upon the my daily life, be it in written word, or hand drawn sketches. The visceral impact that the past observations have had on my current work are impossible to overlook. and other beautiful paintings created 'en plein air" at Sagamore Hill are on exhibit up at Oyster Bay Historical Society's Koenig Gallery free and open to the public!